The following interview is done with Frank. This interview was originally done for the 'zine Garm (Germany). Greetings and thank you very much for your interest in this interview, Frank. After nearly 15 years of existence, you and HALGADOM are not exactly unknown, and that is without a stage presence and without a lot of help or support from big labels, distros, or magazines. A lot of people know that if there were not such “uncomfortable” personalities behind the band, some people, especially Götz Kühnemund and the editors of all these other rags would have been kissing your asses long ago. So, it is just that much more of an honor for me to have HALGADOM appear in act 2 of Garm. Well, Frank, I think that after almost 15 years, 6 full-length albums, a split EP and contributions to numerous compilations we can take stock of HALGADOM’s work so far. What do you personally think of it? Are you satisfied with the master plan of everything you and the band have done, or are there things where you think to yourself, “I could have done that better”, which could certainly be the case after so long? What are the high points of all your work so far with HALGADOM? And since there are two sides to every coin, what are the most negative and disappointing things that you experienced during that time? Thanks a lot for all the flattery! After so many years, there is always something that in retrospect you could have done better or different. But I think that each of us did their best at the time. Every song and every single album is a sort of snapshot in time - and that's a good thing, because that's how you get new versions with a different line up and different techniques. Whether that was successful or not, each listener will have to decide that for himself. I am very satisfied with our master plan. We have always gone our own way, so we have been able to withstand little problems like editors boycotting and slandering us. Or to quote Goethe, ”You can make something beautiful using the stones that are put in your path.”, and when you see who is bleating the loudest, that is just an encouragement that we are doing something right. I can't really think of any real disappointments, which is good. 2. Apparently self-realization is an important theme for your band, which was especially prominent in the title, lyrics, and music of your last album. Isn't it true that what we are or can become is a product of our efforts and successes or failures? But if you have no goals it is hard to get anywhere. What is your opinion, and why does HALGADOM put so much emphasis on the subject of self-realization? Every person has a certain amount of potential that he can make. Of course there are limits, but it is precisely these limits that we must expand in order for us to grow. Imagine an athlete who is always beating his last best performance. That is what makes a man of deeds. This man of deeds is obviously an ideal, for me a sort of archetype and therefore a god. This divine strength of deeds is within every person, and it is the will which has to empower this strength of deeds. In my opinion an ideal is like utopia. But only because anything can be improved. So, it is no utopia in the negative sense like the equality that so many preach about these days, which throws everything into chaos, but an encouragement to go further and to evolve. Why do we emphasize that? Because for me that is one of the meanings of life. It is not only to live, but above all how you live. You can either be a noise or an echo. 3. Do you write songs more from the heart? I mean, is that more an emotional or a rational process? Very much an emotional one. Music, lyrics, poetry and all that goes with that must come from the gut, or as you say, from the heart. Love and hate, both come from the heart. That's why they are so closely related. It varies. There are times when I prefer writing lyrics to music and vice versa. I collect both, and then over time they come together. Depending on the subject matter and the kind of lyrics, I already know in advance what style of song it will be. For example, a song like “Eisblume” would be interesting in a metal version, but would not really sound right. 5. Except for your debut album, where you had two songs in English, all your others have been entirely in German. 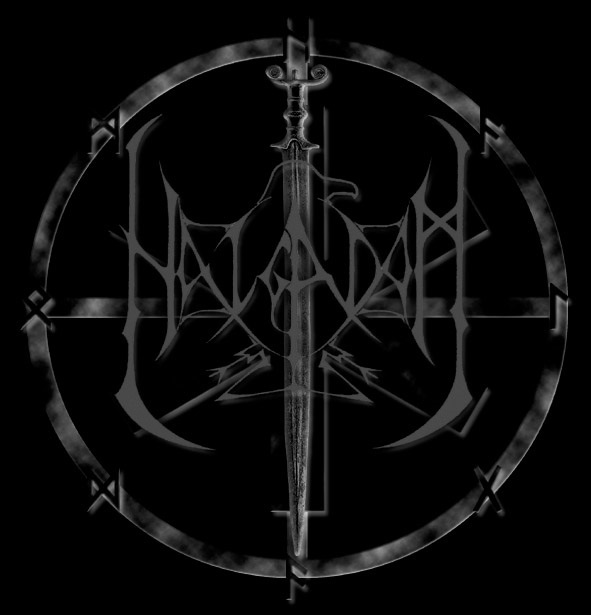 Do you think you could work a couple more songs in English in the future, or maybe even a whole album, or will you just leave it at the two exceptions on the “Halgadom” album? German is my mother tongue, and I can only express myself as accurately as possible in it. And as someone who considers our language to be an important part of our culture, it is only logical to do without English lyrics. 6. What was it like before and after your debut album? Did you release a demo before that, or did you get right to work on “Halgadom”? How well do you still remember working on and recording that album? How was the album received within the metal scene back then, and what was the reaction to it? No, there was no demo. I had already written the songs for “Halgadom” over a long period of time and was only looking for the right team to record the album with. But the recording was more than chaotic. We had planned to record it in Berlin, but the studio guy there was having personal problems that very negatively influenced his schedule. Basically, we tried on two days to record something and spent the rest of the time rehearsing and doing other stuff, which is why we had to leave empty-handed. Fortunately, I was able to find a studio in my area, where we were able to record the album. But we had to start all over again, because the files from the first studio were unusable. Because we had so little time, we had to record the drums in one evening. Under these circumstances, I think the end result was more than satisfactory. The response was actually very good. I got a lot of mail from other countries, and I was able to make a couple of really cool contacts in Hellas. 7. “Halgadom” appeared back then on the label “Moin Moin”. Since I've never heard of this label and know nothing about them, what can you tell me? How did you come across this label and how did you get in touch with them? Will you ever re-release the album as a CD or maybe even remake the songs, or is that unlikely anytime soon? Basically, it was a co-production of “Moin Moin” and “ Mjölnir”. An acquaintance of mine put me in contact with the latter, which kicked off the whole thing. There were no problems there and we worked together perfectly. But “Moin Moin” embezzled a bunch of money from me, and it turned out later that I wasn't the only one. No, there will be no CD and no remake. The album was already released as an MC and on the deluxe version of “Wille: Tatkraft: Potential” we redid “Pagan Warrior”. Maybe for a new album we will remake one of the old songs, but we may just let it be, too. 8. Do you have any plans or ideas for a new album? After all, ”Wille: Tatkraft: Potential” already has three years under it's belt. Which way are you leaning for the next one, neofolk or metal, or will both of them be equally represented? Both. We are planning a split album with the group WALDTRAENE. It will be a neofolk album, and one song is already done. Actually, we didn't keep up with the two-year cycle, as far as a new release goes, after our last one, which is due to changes in my personal life that are taking up a lot of time. Mostly changes like marriage and fatherhood, which take the highest priority. 9. What is HALGADOM's current battle formation? In the past there have been occasional changes in the line-up. Will Paul (from LEICHENZUG) be on vocals again for the next album, or has that not yet been decided. What are former members Michaela, Lü, Eva, and Michel doing these days? Since the album “Sturmwoge”, the core line-up has fortunately remained pretty constant. 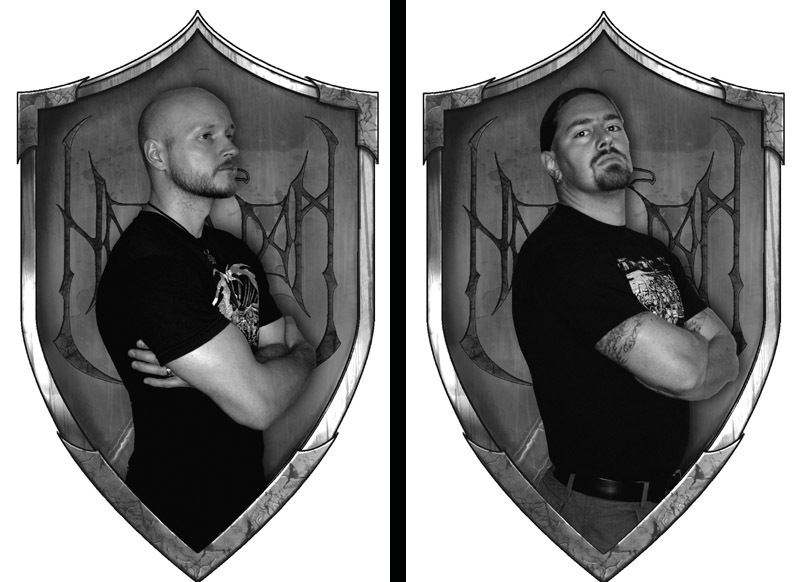 There is Paul (metal vocals), Marcel (base), Stefan (drums), and yours truly (guitar, neofolk vocals). I'm not in contact with any former members except Michael, who may help out on the next album with guitar and vocals. We will definitely use Paul again on future albums. 10. On the Steinklang compilation CD there was a remake of your song “Ostara” under the band name TYR-KREIS, which is a side project of Marcel's. Marcel is also still with the band SVARROGH, with which he has even performed in Israel, as well as three or four other bands. Though you may not be the best person to ask, what all can you tell us about the TYR-KREIS and SVARROGH projects? 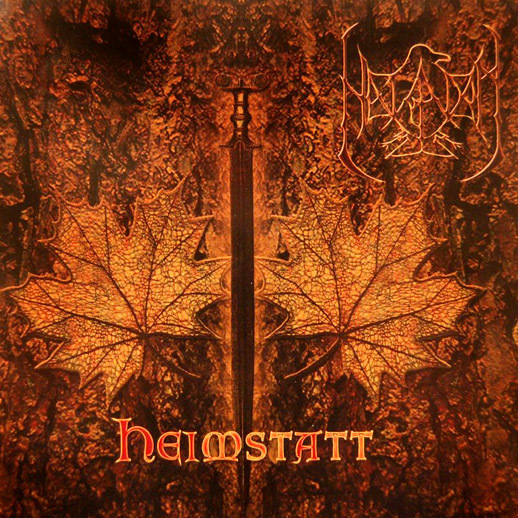 The reason why “Ostara” was listed as a TYR-KREIS song was because the front man of the band GEGENTUM, who was also on the album, did not want to be on the same CD with us. Since everything had already been pressed, we agreed that it could go under the name of Marcel's project. Unfortunately, I can't really tell you anything about TYR-KREIS and SVARROGH, since I'm not involved. I only hear something now and then when something new is released. 11. Since you are or have been involved in side projects as well, what do you think of having side projects in addition to your main band? Everyone can do whatever they think is best, but take the band SATANIC WARMASTER, where the main songwriter is also involved in two, or I believe, three other projects. Especially the band THE TRUE WEREWOLF is almost identical to SATANIC WARMASTER lyrically and visually, so in my opinion it is totally superfluous and unnecessary in an already flooded market. 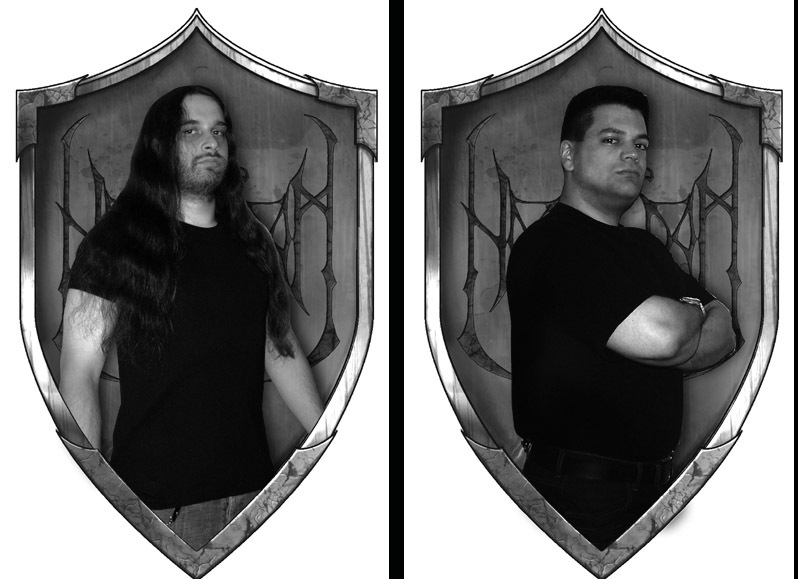 Then there is the band ARMOUR, where all of a sudden Heavy Metal is being reinvented. That's all well and good, but he behaves completely differently and more “mainstream” with this band than either of the others. I don't want to criticize anybody or make them look bad. As I said, everybody has to do what they think is right, but to me it seems like a person loses credibility if he pretends the world goes down, and suddenly it's all about hair gel and tight, colorful clothes. To exaggerate a bit, it's “almost” as if you turned up in the Pet Shop Boys. Should a person always act the same, or is that more a question of musical/artistic freedom? When do you think a side project makes sense? Everybody has different facets trying to come out. So, I have nothing against side projects. Sometimes you want to work with certain people who aren't in your main hand or who you are friends with. Everyone has to decide for themselves how different the bands have to be, even at the risk of making yourself look foolish. But VENOM has proved that you can make a big impact, even when your image is only for show. 12. Trends come and go, and I think it is a generational thing. But do you think that with all the new technology and options these days, where there is always something new coming along, the market will collapse one day and the number of bands will decrease? That at some point the people will get fed up and won't want anything more to do with metal music? What do you think, will there always be this kind of music? It depends on what medium you're talking about. Unfortunately, platforms like YouTube and MySpace have room for all sorts of trash that nobody needs. That's why there will be plenty of all kinds of music in the future. Like it or not, nobody can stop that. It's different with physical albums. The CD market is dead since everybody can just get music for free from the internet. That punishes not only the label, but also packaging coming out now. There will always be collectors, after all. But to get back to your questions, I think this music will always exist. There will be something for everybody in the future. 13. Almost all of your albums so far appeared not only in a CD version, but also a special deluxe version in the form of LPs or LP boxes with some extras, why is that? What do you like most about these editions? Is that a sort of thank you gift to the listeners who buy them, or what is it? Do you limit the normal versions to a certain number, or do you keep pressing when you see that there is still a strong demand? Since “Sturmwoge” I no longer do repressing. As I said, CD sales are way down. The cool thing about a deluxe version is that not everybody can have it, since the numbers are very limited. Who doesn't want to hold something special in their hand, especially when it's from a band that you feel a personal connection with? For me it is like creating a sort of “cultural asset”. In 1000 years, when archaeologists dig up a beautifully made LP box with wonderful lyric booklets and patches from under the ruins of a former city, that will be one of the pieces of evidence that we reached a certain level of culture. That may sound like I'm overstating it a bit, but I think you know what I mean. 14. Where did you get the idea to create your own label and distro, SONNENKREUZ where all the HALGADOM albums except your debut have appeared? I imagine it is a lot more work to release your own music but on the other hand you have a lot less stress than with another label, and you can decide yourself how and what you release. What do you think are the advantages and disadvantages to self-publication? The distro was a matter of necessity. A lot of distros will do trades for their own releases, which is why I ended up with a lot of barter goods that I can't get rid of to anyone I know. In any case, one advantage is that there is no time pressure. You release something when the material is ready and you can do things however you want to. A disadvantage is that you reach far fewer people with advertising, etc. when you run a label on the side. Big professional labels are a lot better off there, of course. 15. On your internet site I read an article titled, I believe, “Greetings to the Unbelievers”. But that was two or three years ago. And that was directed at those who know HALGADOM, but have never held an official release in their hands, preferring instead to download your songs and store them on a hard drive. Since this subject is still very current, can you comment again on that here? Do you understand to a certain extent when a certain demo/ album that is long since sold out or is no longer available or even outlawed is downloaded for free onto a computer, or do you believe that there is no excuse? Because that is actually identical to and the same principle as “tape trading”, where people recorded tapes for each other, or what do you think? What caused that article was comments on YouTube and other forums, where people were trying to figure out inaudible lyrics, even though most of the writers claimed to be huge HALGADOM fans. If I am going to bat for a band, I should at least own their original physical albums whether to support the band, to really get into their work, or to avoid arguments about their lyrics, since the lyrics are printed with all our albums. People spend a bunch of money every weekend for beer and cigarettes, but don't feel it necessary to pay their respects to the people who are actually creating things. I think it is not so bad when albums that are sold out are made available like that, but you have to remember that that is still a copyright violation. What really bothers me is when albums that have only been on the market for a week are already being offered everywhere for free. Why are we putting so much work into creating good looking albums when people are satisfied with faceless MP3 files? All the depth of the thing is totally lost. As far as tape trading is concerned, I must disagree with you. Back then a person would record tapes for a few of his buddies. Today they put a song on some trading sites and thousands of people can immediately get it all at the same time. It's a totally different dimension. 16. Without a doubt, the internet age has completely changed the metal and underground scene. A lot of things can only be found on the internet, whether on a personal website, trading music via E-Mail, or on forums like MySpace or recently Facebook. What bothers me most as the publisher of a fanzine is that a lot of people can't even be bothered to pick up a pen and write a regular letter or say yes or no to an interview request. A lot of bands don't even have a mailing address on their website, or like in the old days on flyers or on the album; instead they just give an E-Mail address or some account on a website where you have to sign in first. Well, MySpace was always intended for music, and that's cool, but I don't understand the whole Facebook trend. By and large, shouldn't contact over the internet using E-Mail be enough? What do you as a musician/artist think of MySpace and Facebook accounts, since you have them? Why do you use these sites because a lot of people are only there because other people are? I've got bad news for you: thanks to OR codes, soon even internet and E-Mail addresses will be gone, and instead you will “scan” your way to a certain website. Some think that is practical, some consider it stupid. You can't stop this trend, because everything must go faster. I also can't get into E-books. A book made of paper and ink is enough for me, because I want to be able to hold it. With internet profiles, it's all about self-promotion and, of course, advertisement. I think that's legitimate, since I use it as a small label with SONNENKREUZ and I find it very useful. But I still print flyers, which then end up in packages. But even here there is an extreme. Just look at all the profiles where even the most personal pictures are put on display, no matter how embarrassing or grotesque. Naturally, that provides the government with an easy way to keep an eye on us. Give people a way to satisfy their need for attention and they will gladly make use of it. I always try to find the happy medium. 17. What do you think of the following people, books, movies, bands, and albums: a. Aleister Crowley- Liber AL vel Legis (book) - “Moonchild” is the only book I've ever read by Crowley. b. Anton Szandor LaVey (person) - He is an interesting personality, even if I don't agree with everything. I found his Satanic Bible quite inspirational. Basically, he just applied a knowledge of psychology decorated with mysticism. c. RAMMSTEIN (band) - I like them a lot, and they are proof that German language bands can become world famous, too. d. “Soweit die Füße tragen” (“As far as my feet will carry me”) (book/ film) - A tragic post-war story based on true events. I've never read it myself, but I know what it's about. e. GRAVELAND - “Spears of Heaven” (album)- I've never really been a GRAVELAND fan. f. Savitri Devi (person) - An intelligent woman who mastered seven languages. During and after the war she stuck up for Germany, like a lot of other Indians. She saw in A.H. the embodiment of the god Vishnu. g. Ragnar Redbeard- “Might is Right” (book) - An interesting book with views similar to Nietzsche's, definitely worth reading! h. MAYHEM (band) - I had the nerve back then to think they were never very good. i. Keoma (film) - Never heard of it. j. ANICENT RITES - “Fatherland” (album) - Very good album. I saw that band on their tour in “Zeche” in Essen. k. Burzum- “Fallen” (album) - I thought it was okay the first time I heard it. But I have to admit that I have never really got into their new stuff. l. Karl Maria Wiligut (person) - I find the stuff about inherited racial memory interesting. I also believe that significant events are stored deep in our DNA and that coming generations will receive a premonition under similar circumstances. m. IRON MAIDEN (band) - One of the bands I grew up with. The best singer is still Bruce Dickinson. 18. As long as people are being oppressed, the song of freedom will continue to be sung by all the peoples of the world. It is different for every age and for each circumstance. What does freedom mean to you? Is there even such a thing as freedom or is it only something everybody dreams of? As a musician/artist, how far do you think freedom should extend? Do you put limits on yourself, or do you think an artist has the right to do what ever they want? For me as an artist the border is good taste. Of course that is very individual and can't be defined, but I have to be able to stand behind my work 100%. I think there are two kinds of freedom, a freedom upwards and a freedom downwards. Unfortunately, we see the latter much too often, where young stars run wild, numb themselves with all kinds of drugs, and surround themselves with meaningless violence. They get their role models from government-regulated TV, so that is obviously behavior that is desired, because it distracts from the important things. Freedom upwards is an encouragement to become who you are or can be if you make the most of your potential. A part of that in my opinion is forming an elite and promoting it, because every person reaches their horizon at a different level. Of course it is blasphemy to demand such a thing in a time when egalitarian barbarity is carried across the land like a holy cow and is worshiped like a god. There can be either freedom or equality. The lyrics to “Werde der Du bist” (Become who you are) are a perfect description of my understanding of freedom. Freedom also means being allowed to call a spade a spade, even when the truth hurts. Without having to divide the truth into two classes in order to avoid hurting the feelings of certain fringe groups. You see, freedom is a word with many layers and is defined differently by each special interest group. Just think of the flowery term “free market” or “open market”, which really means nothing but global exploitation by social fringe groups. 19. Since I'm sure that the TV is almost never turned on at your house and you would much rather have a book in your hand, I would be curious which books you have found especially good or fascinating in the past. I haven't watched TV in years. Now and then there will be a special movie in the DVD player, but we have as good as cut ourselves off from the matrix. Some of the books that have run through my hands: ”Das schwarze Blut” by Jean-Christoph Grange, known to some as the author of “Die purpurnen Flüsse”, the vampire saga “Necroscope”, which I have recently picked up again after a long break. I highly recommend both books by Markus Heitz, “Ritus” and “Sanctum”, which are both about the werwolf myth. The “Thule” trilogy by Wilhelm Landig also inspired me a lot, which is why I posthumously thanked the author on my last album. I also really liked the thriller “Totengleich” by Tana French, as well as “Das Buch ohne Staben” by Anonymous, which was pretty crazy like “From Dusk till Dawn”. For anybody who is interested in physical fitness I recommend the book by Chrisian Zippel, “HFT-High Frequency Training and Autoregulation”. Right now I'm reading “Culture of the Teutons” by Wilhelm Groenbech, “Bausteine für eine Religion der Zukunft” by Dietrich Schuler, and “Geschichte aus dem Cthulhu-Mythos” by Jeffrey Thomas. So, pretty varied and there's something for everybody. 20. A book that I have just started to read was about the wisdom of an old Indian, where he talks about the important questions in life and how we can give our lives meaning and find beauty in it. I got from that that we should go our own way and believe in our dreams, for as it says there, “You must withstand the storm to reach the sun”. There's something true there, don't you think? What question would you like to ask an omniscient person? That reminds me of a quote by the German freedom fighter Albert Leo Schlageter, “Be whatever you want in the world, but whatever you are, have the courage to be it completely.” When you raise yourself above the masses, you are viewed with envy and jealousy. If you can view this resistance as a positive encouragement, then nothing can stop you. To be honest, I have thought about it for a while and I can’t think of a question. If I were a scientist looking for a very specific formula, I would ask about that. I have decided that the meaning of life for me is life itself, and that we have to make the best of it, develop our body and mind, and become immortal through our children. What more is there I need to know? 21. Modern man tends more and more to live in a world where perception is given the certainty of ireful able validity. This view has as its result that that which seems certain to us can have an alternative. Everything, just like every action, has two sides, good and bad, positive and negative, as far as the effect on our daily life. A person with commonsense sees not only one side in any situation, but also the other. But what about the truth where we often never hear the other side of the story? Where, when we question certain things, right away it is called a conspiracy theory? What do you think, Frank? Do we really need to be questioning a lot of things these days? Do you give credibility to any conspiracy theories of the last decades? I will answer all of that with yes. If I didn't question whether the Swine Flu vaccine makes sense, I would have had mercury and formaldehyde injected into my veins. If I didn't question whether it's a good thing that every newspaper editor owes their loyalty to some political party and obeys interests who only want to keep this system stable, I would believe everything I read in the newspaper. If I didn't question whether climate change is caused by humans and has more to do with the emanations of too many cows. I would also believe this nonsense. What about the attack on Iraq due to the lies about nuclear weapons or the attack on the World Trade Center that was supposedly carried out by some cave dwellers in Afghanistan? You have to question everything to avoid being manipulated. We always hear only part of the truth, baldfaced lies, or the truth sprinkled with lies. Better to ask too many questions than too few. 22. In the end, the only thing waiting for us is death, because we apparently have only this one life where it is possible to change our “sad” reality. But what do you think happens after we die? Because I think everybody wonders about that at some point. Do we even die, or are we immortal, living in a sort of parallel world with the other dead? What are your thoughts and assumptions about the human afterlife? Are we perhaps reborn, and/or we have already lived in other times and ages? Do you believe in reincarnation? Our ancestors believed that when we die we are reunited with our ancestors in another world or on another plane, which seems plausible to me. We are all made of energy and we all know that energy cannot be destroyed. I think that part of us goes to a different plane and finds its place among our ancestors. I once had a very intense dream that I made into a song “Werbung”. I dreamed that on a devastated Earth a small, blue ball of light rose out of every dead person toward the heavens. Each light had its own specific place between the stars among its ancestors waiting there. That spot would remain empty until the thread of life that was spun by the Norns was at an end and the journey to the stars could begin. As I said, only a dream. But that's how myths and folk tales begin that become deeply anchored in the subconscious of a people. Another part of us is preserved in our descendants and keeps getting passed down. That is the blood that we carry with us and in which everyone in the thousands of years of our family tree has preserved themselves at some point. Whether in the form of distinct facial features, body characteristics, or character traits. That is a sort of unconscious reincarnation. There are people who claim to have had a past life. To me the only explanation for that is that part of an ancestor must complete something that they could not back then. But as I said, that is purely speculation and is more in the area of metaphysics. 23. Now to something different. In every century there have been seers and soothsayers. Nostradamus is seen as one of the greatest seers of all time, who predicted World War Two, the moon landing and climate change, for example. You can argue whether the last two ever happened. What do you think of predictions? Do you believe in them sometimes or do you find them unbelievable or even ridiculous? 24. Almost all the people with roots in northern and central Europe have at least some Germanic ancestors. But anybody who is interested in our ancient history and religion is viewed skeptically at best. In the advance of Christianity, the old faith was fought with fire and the sword, the holy places were destroyed and mostly replaced by Christian churches, and a huge amount of priceless knowledge was destroyed. Since you and HALGADOM deal with that time and knowledge and write music about it, I would be interested how that ancient time affects your private life and your lifestyle? For me paganism is a religion without dogma based upon knowledge that was handed down and that evolves as new wisdom reveals itself to me. For one thing, by working with the runes and by internalizing and living certain values that can all be described as “Prussian virtues”. The knowledge that our body is our own personal temple and we must take care of it. That means things like a healthy way of life, physical exercise, and respecting Mother Nature. I see it as a duty to take care of all that my ancestors have handed down to me and not to let the thread of life be severed, since it was entrusted to me by them in other words to become immortal in my children. To pass on the best to them and make the most of my own potential. 25. The customs and beliefs of the church and Christianity as a religion have become firmly rooted in people's minds. You can see that with kids, when you talk to other families and you tell them you have not had your kids baptized, even though a lot of people don't baptize their kids because they believe in the religion, but just because it's what people do and it seems normal. What do you think of the influence that the church has over our people and our community? What can we do to reduce that influence? How much influence do you think it will have in 50 years? The church as an institution is losing more and more importance in people's lives. You see how many people are leaving the church and its undignified attempt to recruit new members by pandering to the minorities. But still the many years of Christian indoctrination have left their mark on the subconscious of our people. The main thing that occurs to me is the marked cult of guilt and atonement, which has its roots in the fairytale of original sin. This leads to our people being ruthlessly exploited with the help of certain psychological mechanisms. Our ancestors didn't even know the word sin. There was recently a woman on the radio who forgave her son's murderer so that he could find Jesus. That is basically an almost retarded view of law and of justice. Fortunately, that is an exceptional case and the majority of our people find such incomprehensible. What can we do against that? We can live by our own values and in the best case become an example and an inspiration to other people who have a healthy outlook on life. I think it's stupid to attack the church as an institution, because that just gives it an importance it doesn't deserve and could give it back its power. In the next 50 years Christianity will be replaced by Islam in Europe if we don't turn things around and institute a sort of German intifada. A peaceful one, naturally. 26. What did you think of the statement by “our” former president a couple of years ago that Islam is a part of Germany? What do you think of the Islamic faith and religion and Islamic countries? That statement just proves once more what childishly naive people are in power and how dangerous they are. Anybody who claims such a thing is just displaying a totally superficial thought process and an appalling lack of knowledge of history. After all, Islam has been trying forever to enslave and spiritually colonize Europe. I have nothing against Islam as such, but it should definitely limit its activities to the Orient, where it belongs. Islam is more than just a religion, because it influences every area of life. All the members of these subcultures should keep that in mind when they call for “tolerance and understanding”. In a caliphate there is the way that we men enjoy so much like they do now. Then there will be veils and lashes like in “liberated” Egypt. There also won't be anymore metal concerts with people paying homage to the horned one, whether meant seriously or not Islam is only tolerant when it is in the minority. One glance at a history book proves what I'm saying. 27. Now I would like your opinion of the following quotes: “History is not only what happened, but is layered-it is the ground that we stand and build upon” - Hans von Keler, German theologian. A tree feeds itself through the roots that reach deep into the earth. And its food is the trees and plants of the past. It lives off of that which has been and can only grow and thrive because of that. The whole thing with free will... how do we know that we are deciding freely and are not being forced by external influences to do something, whether we notice it or not. I can't argue with the pope there, but that sounds more like Darwin than a pope. That may apply to everyone except those who question the FRG- Regime and its “truths”. The result is over 13,000 criminal cases per year against dissenters, with the number trending upward. Well, fear was pretty much his hobby, so Lovecraft knew something about it. Is it that the unknown can also be an encouragement and a challenge. Our ancestors set sail in their mighty dragon ships in spite of all the unknown. It depends on what kind of person it is. 28. Well, Frank, that's it from me. Thanks again, and I wish you all the best and even more success in all your endeavors. The last words are yours! Thank you for your interest in HALGADOM and the extensive and interesting questions.